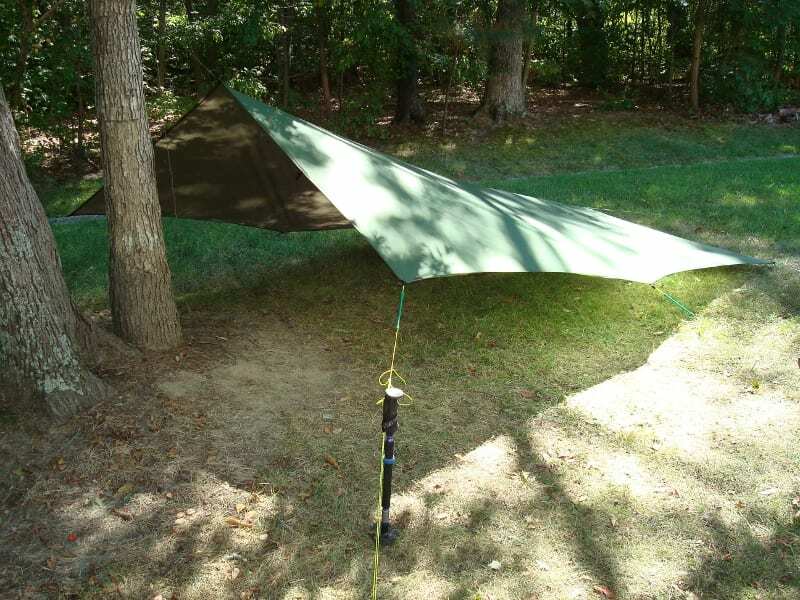 Designed for the full range of pitch options this 11′ x 10′ tarp is primarily a flat tarp. 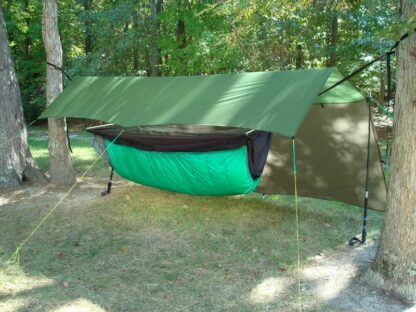 Its 11 foot length is long enough for the longest of currently available camping hammocks. 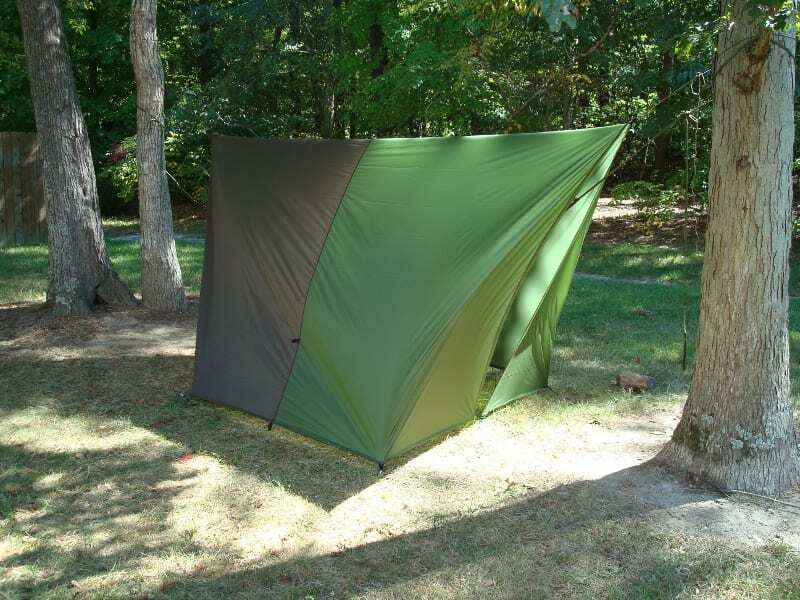 Designed for the full range of pitch options this 11′ x 10′ tarp is primarily a flat tarp. Its 11 foot length is long enough for the longest of currently available camping hammocks. The 10 foot width allows for “A” frame pitches with generous five foot sides. Perhaps more importantly, it can be pitched to form a full side wind block ala a Baker hut for hammocks tied to trees a normal 5 to 6 feet above the ground and still provide great top coverage. 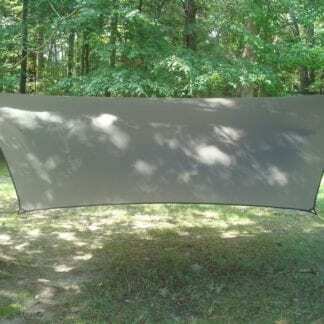 Alternatively, this tarp may be hung on it’s 10 foot length and pitched in a “tent” like mode to provide excellent weather protection and privacy. 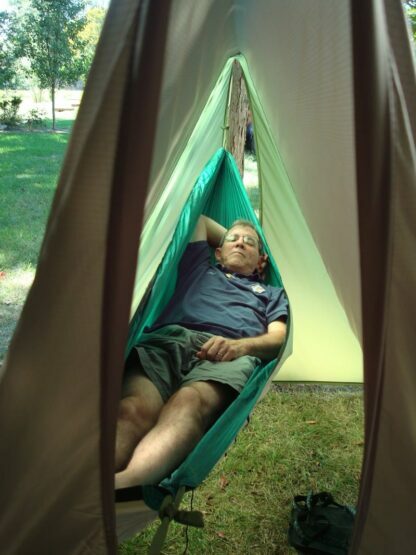 This technique works well with regular size hammocks such as the Claytor Mosquito and Expedition, the Eagles Nest Singles and Doubles, the Travel Hammock, the Treklight Hammock, and all of the Hennessy models except the Safari. The 11 foot sides have dual catenary cut edges. The removal of the approximately four inch catenary cuts results in a tarp that pitches taut with little to no effort. Use of a rolled hem technique eliminates the several ounces of edging weight associated with more common gross grain ribbon edged catenary tarps. Combined with the strong JRB corners the resultant tarp is strong yet lighter than similar sized tarps. 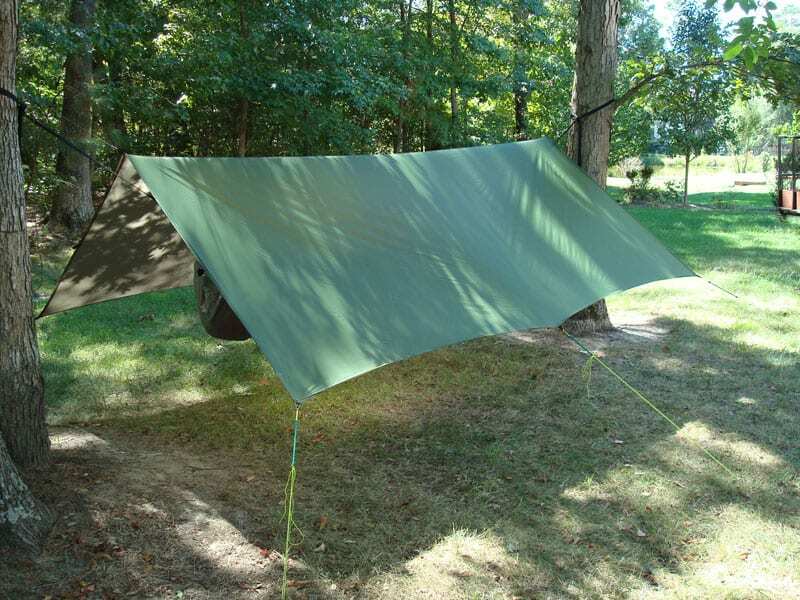 The JRB 11′ x 10′ Tarp is made out of 1.1 oz. silicon impregnated ripstop nylon cordura ® now with 21 tie-out tabs (9 along each of the 10′ edges, 3 on each of the 11′ edges one on the center of the ridge line). This provides for a 50% increase in “porch” coverage when in the Baker style lean-to pitch. Including silnyl stuff sack it weighs 19 oz. and packs to approximately 10” x 5” x 2″. WARNING: Silicon impregnated nylon is flammable, please use caution near open flame. Under other tarps I’ve slept with one eye open in paranoia of getting wet. Since I started using the JRB 11’x10′ in 2008 I’ve been in some severe thunder storms (two that really stick out were on the AT just north of Shenandoah and one in the 100 Mile Wilderness). I slept sound durring massive downpours with out a drop of rain touching me or any of my gear. 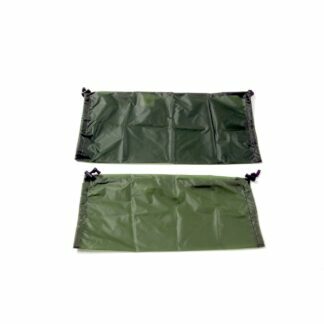 The size and many pitching options make this is THE tarp for peace of mind! Couldn’t be happier. Bought the combo pack Bear Mountain Bridge Hammock and this tarp. The second night I was a bit worried. Rain and wind came up pretty quickly. I guess I was kind of lucky with where I set her up. 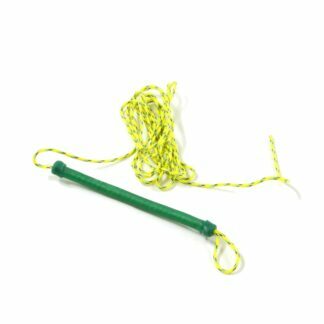 I was swinging pretty good and my anchor trees were 8″-10″ inj diameter. The kicker was it hailed later that night. It was so loud. But, I stayed warm and dry. Haven’t purchased the tarp but … after viewing your set-up video I WILL be making plans to purchase. I have to say, as far as how-to videos in the hammock, backpacking, and camping worlds, this has got to be the best presentation I have seen YET! Not too fast, thorough clear explanation, practical, and clear detailed videography in the various processes and versatility of the product. GREAT JOB!!!!!! Second night out, second time I used it, a front came through. Temps plunged 30 degrees in less than 1/2 hour. Big time rain and wind. Thanks for the great gear and great service as well. Great looking tarp. My order was shipped out almost immediately and arrived quickly and in great condition. I can’t speak to their customer service since my two emails thanking them received no acknowledgement, which was somewhat of an upset. The products are great though, and worthy of 5 stars. I bought a 11×10 tarp in brown. Tarp has plenty of room. I plan on using this tarp on canoe camping trips and a place to hang out on rainy days. I did have a small drip from the middle tie out at the ridge. I emailed JRB about what I should do. Jack called me and left a message and said I should put the tarp right side up. Doh!! I had pitched the tarp with the seam seal on the inside. He also had a few other ideas if that did not work. Thanks for a awesome tarp and awesome customer service! After 8+ years of use and abuse I finally need a new JRB 10 x 11 tarp; loosing this tarp is like loosing and old friend. I have never once worried about weather with my JRB tarp, just pitch it and get on with life; never once has it let me down. I have patched it several times (abused remember) due to embers, falling branches (small-ish) and my own stupidity; but not once has a seam or tie out let go. This is the only part of my kit that hasn’t changed in 8+ years. 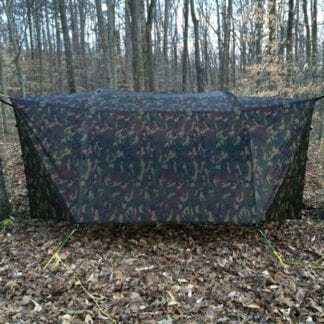 So yes, I will be getting a new JRB 10 x 11 tarp, and one for my son. Thanks for a great product Jacks!